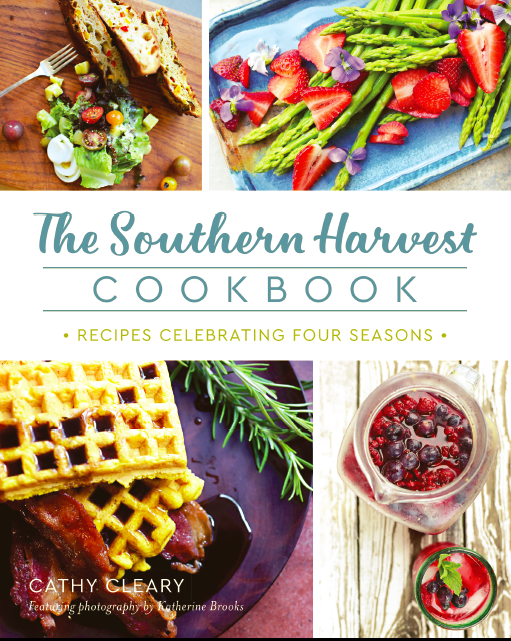 The Southern Harvest Cookbook features my seasonal and regional recipes, lots of stories, and interviews with North Carolina Chefs Vivian Howard, John Fleer (of Rhubarb), and Andrea Reusing (Cooking in the Moment). It also features the brilliant photography of Katherine Brooks. 50% of the proceeds from sales of this cookbook will go toward food justice causes and sustainable agricultural initiatives.